Our new cooperative rules changed the composition of the board and increased its size from five to seven, and requires representation of diverse range of perspectives and interests, including people from our organisers, worker-coops, member organisations, and the wider membership. We are very excited to welcome the newly elected Bronya Lipski, environmental justice lawyer born and raised in the Latrobe Valley, and Katherine Cunningham, Gippsland resident with expertise in business development and adult education, and also a board member for the Earthworker Energy Manufacturing Co-op. Ella Ryan, from Redgum, was put forward as a representative of worker-owners, to be ratified by our member-coops at a later date. The final and seventh board-member will be a non-member possessing high level skills, appointed by the board in an advisory role. We’d like to thank Linda Ballis and Ian Southall, who stepped off the board this year, for their time and contributions, and acknowledge the ongoing service of Dan Musil, Mark Tyler and Anna Boddenberg. 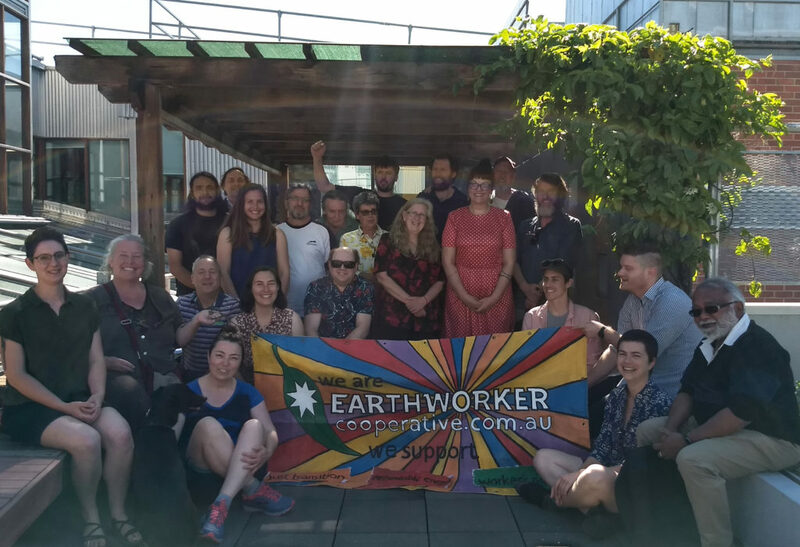 With the cooperative factory in Morwell on the brink of starting production of renewable technology, and another worker-coop getting ready to provide green cleaning services, this is truly an exciting time to part of the Earthworker project. Years of hard slog have laid the groundwork for the position we are in now, and while we know there is plenty more ahead, we are truly grateful to our members and organisers for being part of this effort.